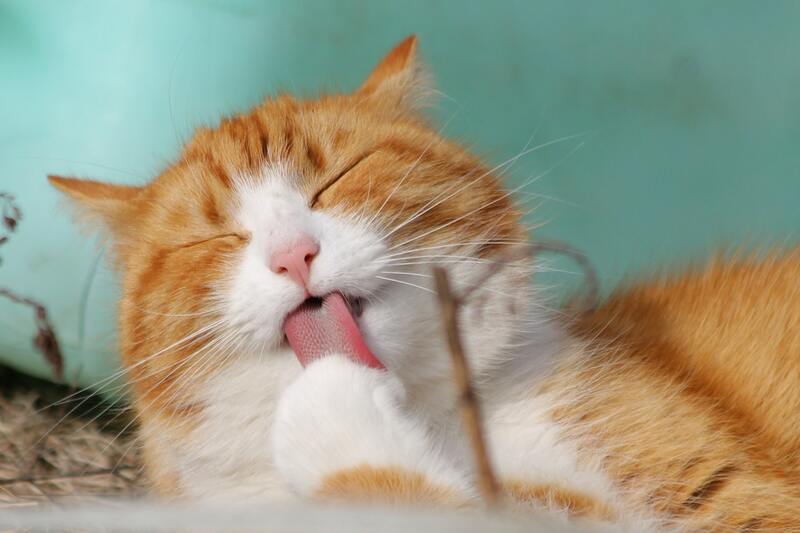 If buying pet food ever left you scratching your head, chances are you are a cat owner. You want the best for your cat, but she doesn’t always agree with you about what’s best for her! Did you know that a lot of research goes into perfecting your cat’s meals? Hill’s Pet Nutrition gave Animaltalk an interesting peek at how they do it. Interestingly, cats prefer their kibble round or triangular, and they are not keen on this donut-shaped example. The making of food that cats will love! Hill’s 180-acre Pet Nutrition Centre in Topeka, Kansas, is a state-of-the-art centre where most of the groundbreaking research and development is done. And that’s where a very special group of cats come in. In addition to a staff of veterinarians, board-certified animal nutritionists and specialists in internal medicine, there is also a staff of over 250 cats whose sole responsibility is to eat cat food. These cats live in luxury, and the facilities include scratching posts, beds, hammocks, platforms, skywalks and toys. The cats have been trained to conduct preference tests, and they take their jobs very seriously! Their opinions are the only ones that matter when it comes to taste. In these tests, the cats are presented with two foods and they choose which one they want to eat. The tests take place over two days, and the amount of each food eaten by each dog or cat is measured and statistically analysed at a 95% confidence level to determine which food was preferred. The human sensory panel puts the cats’ preferences into words. They describe the different attributes of the foods, mainly the aroma and appearance, so that there is a language for talking about pet preferences, for example describing the food as ‘earthy’ or ‘savoury’. Did you know that dogs and cats have different tastes when it comes to kibble? Find out more in your December 2016 issue of Animaltalk. Need advice on feeding an older cat? Get it here!